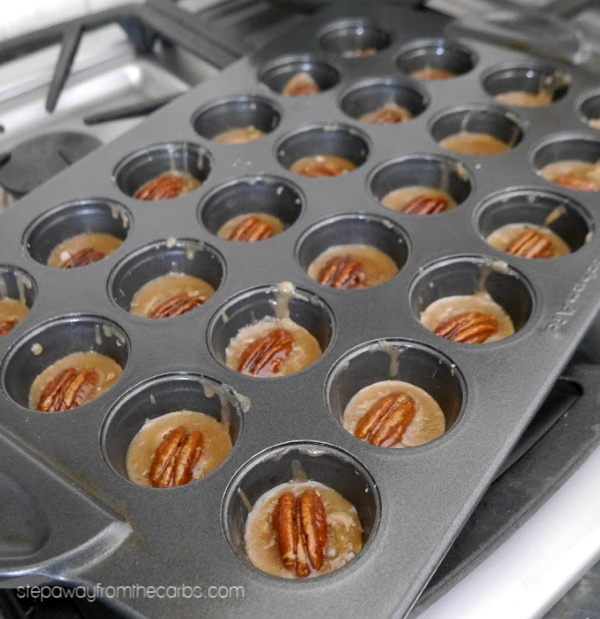 These low carb pecan caramel bites are buttery and crunchy! A sugar-free sweet treat with just three ingredients! Did you see that I have just published a new book? 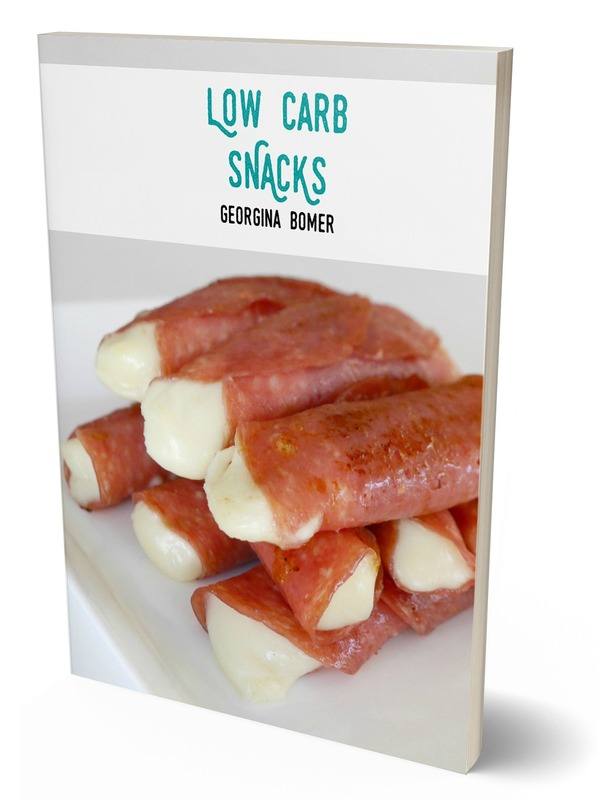 Low Carb Snacks features over 70 savory and sweet snack recipes that are all low carb, sugar free, and gluten free! 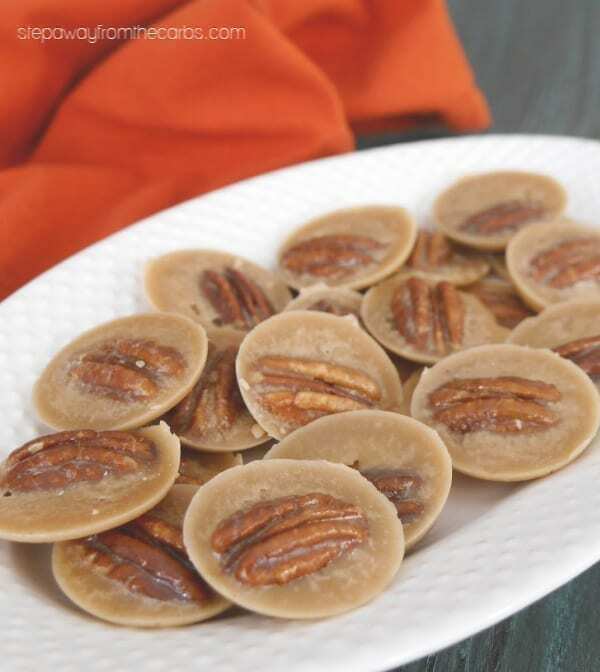 These low carb pecan caramels are one of the new recipes created for the book, and they are SO good that I just had to share them with you here. They’re kind of like a brittle or buttery bark, and only require three ingredients! 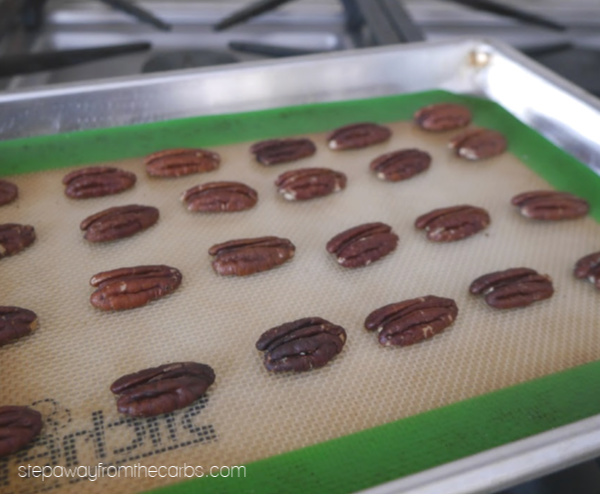 Toast the pecans in a preheated oven for 5 minutes, then set them aside. This gives them a wonderfully deep flavor and releases their natural oils. Add butter to a non-stick saucepan, place over a medium heat. 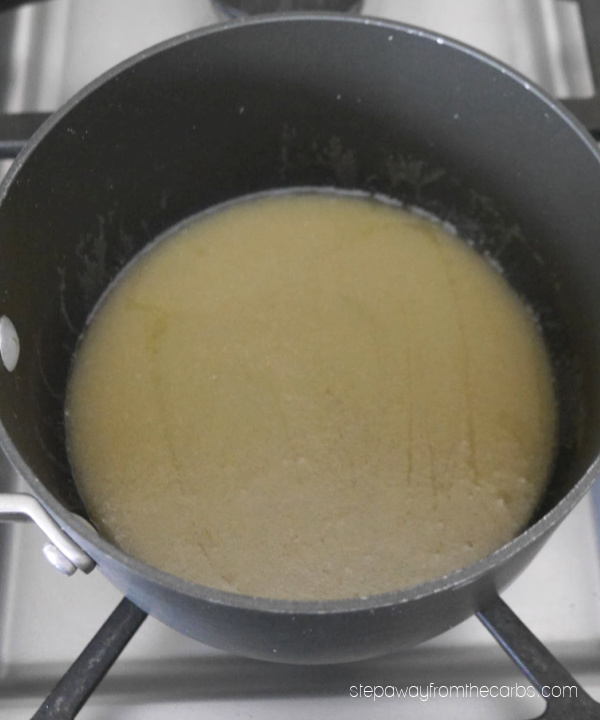 Add some sweetener (I used granular Swerve but something like xylitol would also work well), and cook over a medium heat until the mixture is liquid and the sweetener has completely dissolved. Continue to cook until it starts to darken and turns light brown, rather than dark yellow. 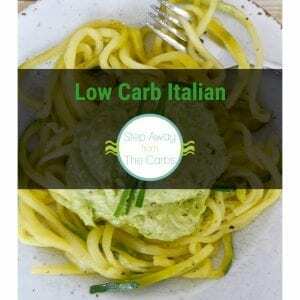 Stir frequently and don’t walk away from it as it can turn color quickly! Add the toasted pecans and stir well. Working quickly, divide the mixture between 24 mini muffin pan cups that have been sprayed with non-stick spray. Leave to cool for an hour, then remove from the muffin pan. The sweet buttery “shell” works so well with the pecans! 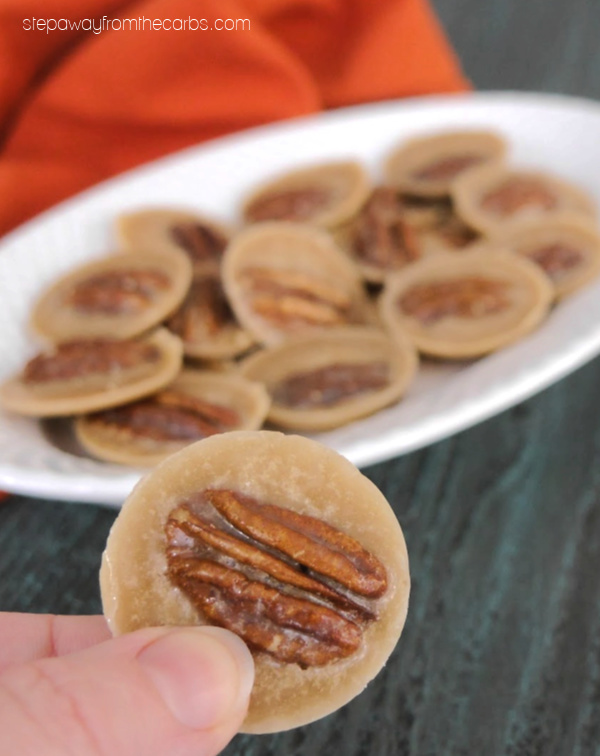 These work out to 1g net carb for a serving of four low carb pecan caramel bites! Ideal for a sweet snack! 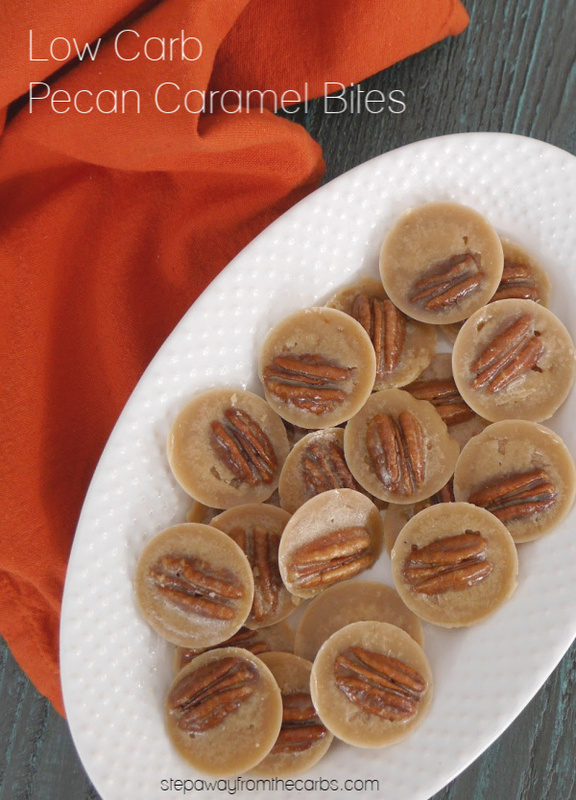 These low carb pecan caramel bites are sugar free, buttery, and crunchy! Made from just three ingredients - and perfect for a sweet treat! 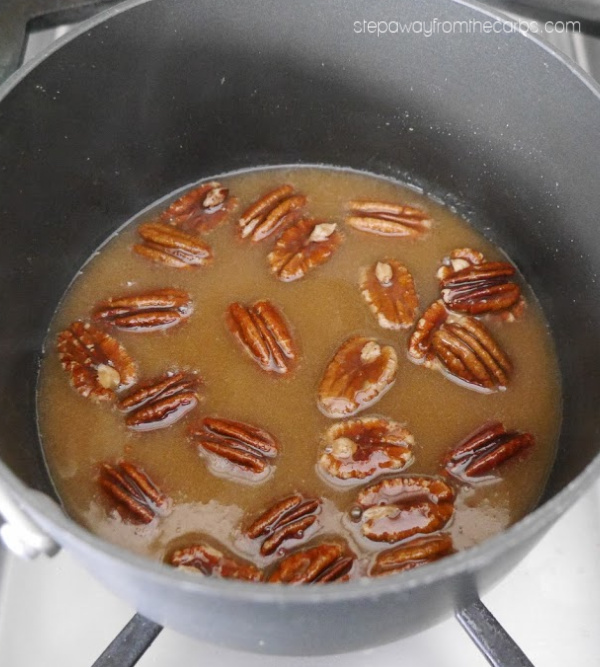 Toast the pecans for 5 minutes, then set them aside. Add butter to a non-stick saucepan, place over a medium heat. Add the sweetener, and cook over a medium heat until the mixture is liquid and the sweetener has fully dissolved. Continue to cook until it starts to darken and turns light brown, rather than dark yellow. Stir frequently. Add the toasted pecans and stir well. 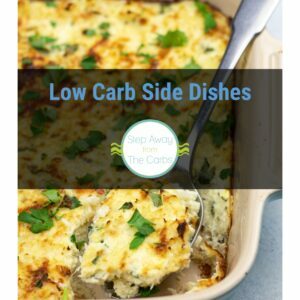 Leave to cool for an hour then remove them from the pan. 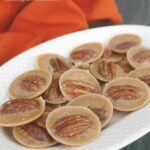 Remember, if you loved these low carb pecan caramel bites, check out my new Low Carb Snacks book! 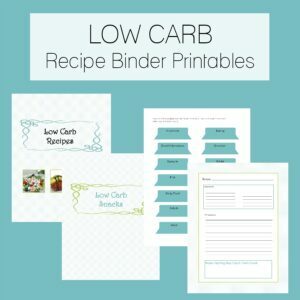 Note: this recipe was originally published as Low Carb Caramel Pecans – a recipe that used Splenda. I have since updated and adapted it.